Due to popular demand we have ordered 50 summer caps. We have searched around and found a good supplier that is good on price too. The full price inc VAT is £13.68 per cap. We are offering these to members for £10 and the club is subsidising the balance. Delivery will be in the next 4/5 weeks. Also the supplier offers various sizes which is cool. The Large is the standard size. We know that Sally has already claimed a Small and Richard Alexander has claimed an XL. We will hold a second XL for Russ. Place your orders here to secure your cap. 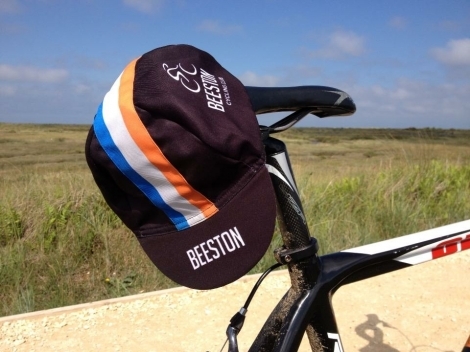 Please note that the stripes are printed on the cap rather than stitched on. It was getting too expensive. 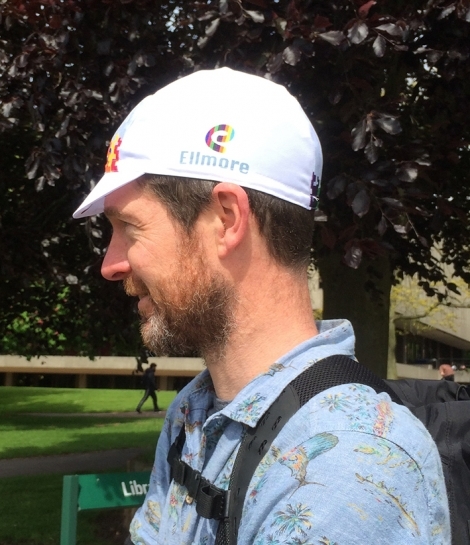 Mark sporting the sample cap at the UNI GP a few weeks ago. Of course the side view had to be done too. Mark is wearing the Large. I have the sample that people can try it on. John - do you have the measurements for the different sizes? My fat head is almost certainly an XL, but would be good to make sure I get the right size. They are elasticated. I don't think they have specific measurement sizes. try on the large I have and that will be a good guide. The XL is the biggest size they have. Can you put me down for a large please? Large x1 for me as well please. One large, one small please. Thanks for the info John. I'll stick with an XL. Mark, what size is your noggin? Small for me please. Never had one of these before - so guessing on my size. I'll have an L please Bob. I'll have a large one please matron. Marcel the five XL caps have been booked from the previous posts. Richard A, Russ, Julian, Jon M and Will. There are plenty of Large left and you can look to swap with either from above, if when they get them and if they turn out to be too big etc. I'd ordered an XL too actually but had miscounted and thought I was the 5th. Don't order an L for me though thanks as I know it won't fit so just remove me from the list. Happy to wait and see if the L will fit me Jim, then you're next in linefor the XL. Hey Jim sorry I missed you had just ordered the XL after Will. No worries, as Will says he will try on the large and if that fits then the XL is yours. Thank you for the orders so far. In the large I have allowed for Jim7 possible swap with Will for the XL and kept a L for Marcel to see if it fits. Marcel pop round on Friday evening or over the weekend to my house number 24. You know the street. Please can I have er... Large? 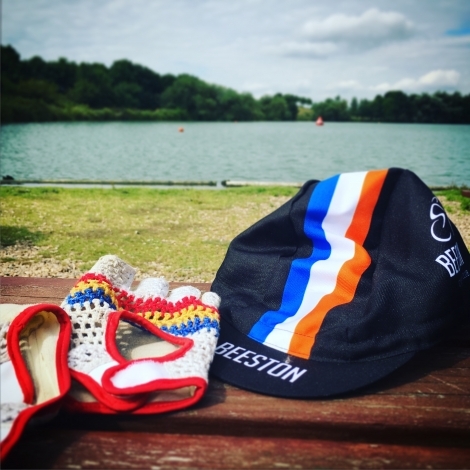 The caps should be with us W/C 3rd July. Sally you are already in the order for a small. PeteR I have put you down for a large. John, I'll have the large, please. Hi All the caps will be available on Sunday/Monday. I am at the UK Games all weekend. I will post up Sunday time when I get back. My address is 24 Devonshire avenue. I can also liaise with people to hand over at times and dates that suit. I have printed out the list from above and will label them up tomorrow evening in preparation for first handover for Sunday/Monday. Monday Night from 8pm is good. Please post that you are coming so that I know to expect you. Also I believe Richard is going to post a social night this Thursday or Friday, so I can bring them along then. 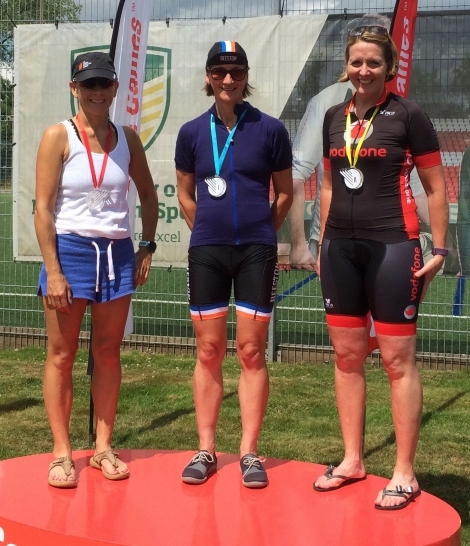 Sally sporting her new cap on the winners podium at the 10mile TT. Are you around for collection this evening John, or just Monday? Why don't you sir in the beer garden at the crown for collection and take Tue morning off! John. Monday evening about 8.00pm for me please. Off to the Tour de France so watch out for it!!! Monday, 8ish. Good for me. No problem John, will drop by at some point tomorrow evening. 8ish for me as well John. Thanks. Great start had 6 come so far. The cap store is still open till 9:30pm. Tuesday and Wednesday same time is good too. Also the caps will be at the social night, I may pass them to Richard for The social night as I am commissairing at Mallory and won't be back till about 9:30 ish. 8 pm -9pm tonight is good if anyone is in the area. I'll probably pick up at the social, thanks John! I'll pick mine up around 8:00 tonight if that's OK.
Ill be in from 8 pm tonight if anyone wants to pick up their cap. And again tonight and tomorrow. I know some will be doing the TT or Chaingang so after that will be cool too. I'll have one please. Any chance you'll be around on Friday? Are you in this lunchtime for a collection? Hi Colin just got back from our ride, sorry I missed you we have been rearranging the house and I put the caps somewhere safe. If you want to call I can arrange a suitable time. List of caps still to be collected. I will be in from 8pm Monday night for collection. If anyone can't collect but has a member nearby that can collect for them that is cool. Due to the demand for more XL sizes we have managed to get in another small order for five more. These will arrive in about 3/4 weeks. That means that one is spare. 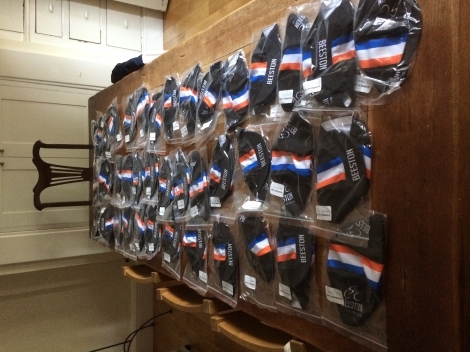 Over the next few weeks Richard Oakes will have the remaining caps for collection. Richard. Where can I collect from? Are you in on sat morning at 8.15, sat lunchtime or sometime on Sunday? Richard - can I collect Sunday too? Can I have the spare xl please? Andy I am getting the caps back off Richard on Monday. To all if you want to come down to the Star pub between 7:30 and 9:30 we are having a committee meeting you can pick up from there. Cheers Andy. Anyone else please pop in to collect. I will give out other dates etc. Ok Mark will be doing an audit and get back to you. Hi, who/where do I collect the cap from? Let me know when is best time/day? Alternatively you can call my numbers 07958 231 499 to arrange pick up. 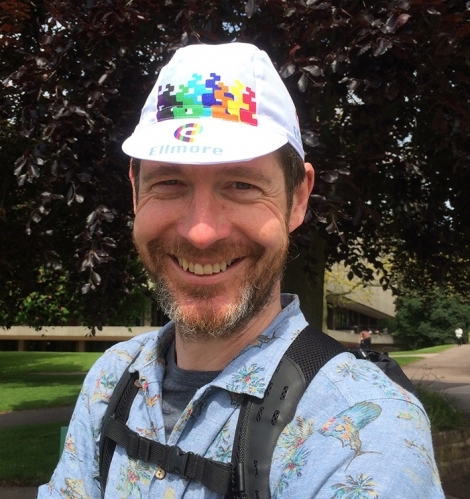 Will you (or the headgear) be at the next pub meet John? John, I'll pop round later, if there's still one left for me. Call me on 07958 231 499 to arrange pick up. I've got a cap and think I owe somebody some money but not sure who? russ I will touch base soon. Cheers John. If it's you, just message me how much and I will drop it off. Slowly but surely... latest update on caps to be collected. I Will bring these to the AGM on the 1st of December at The Star Inn, Beeston. Alt call me on 07958 231 499 to arrange pick up after the AGM. I have been sorting out bits for the 2018 AGM and came across some uncollected caps. Given the length of time that has lapsed they be will be brought to the the AGM for collection. If not collected they will be sold on. Remember these caps are £10. Macca - are there any caps still available? If there is any left available or we r going to have a new order soon could you please put me down for a Large one please? I have three Large left. Sam and Kostas you are welcome to pop over. 24 Devonshire Avenue or I can bring them to the social ride. Call me on 07958 231 499 to arrange time and handover plus £10 cash please. Thanks a lot, i will be joining the social one this Sunday so if you could bring it there it would be great. I will have the money with me :). Thanks again! Hi John, just realised I've never collected mine. Hopefully I'll be along on Sunday and can collect then, I'll comment on the ride if I can make it or not. Sandy yes I have it. Luckily I hadn't sold it on due to the length of time. Thanks John, I’m away for Christmas, but will collect in the new year!